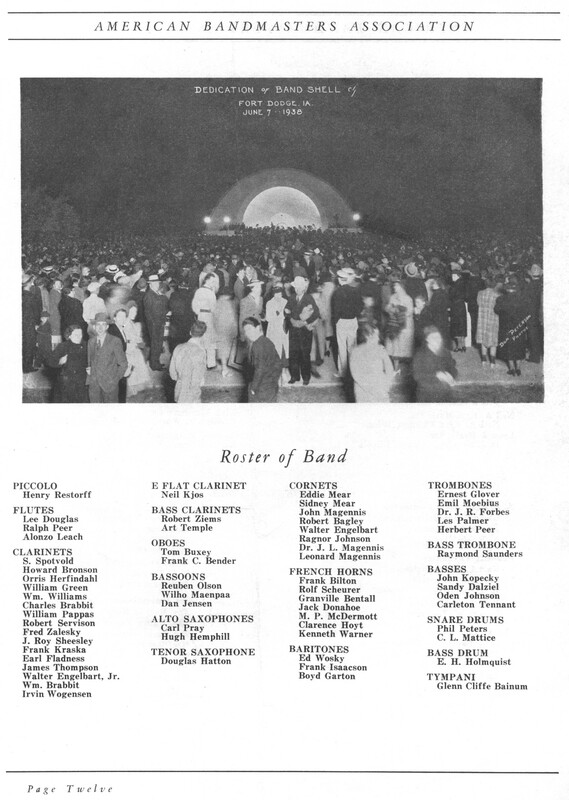 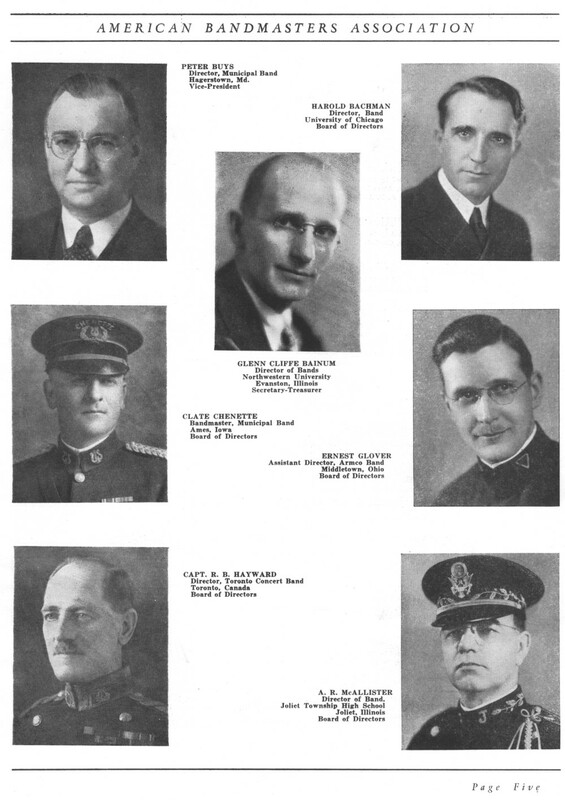 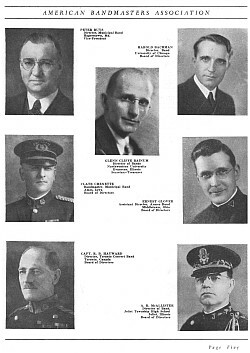 A photo taken at the dedication (see below) of the Karl King Bandshell was printed in the ABA Convention program. Click images below to see enlarged versions. 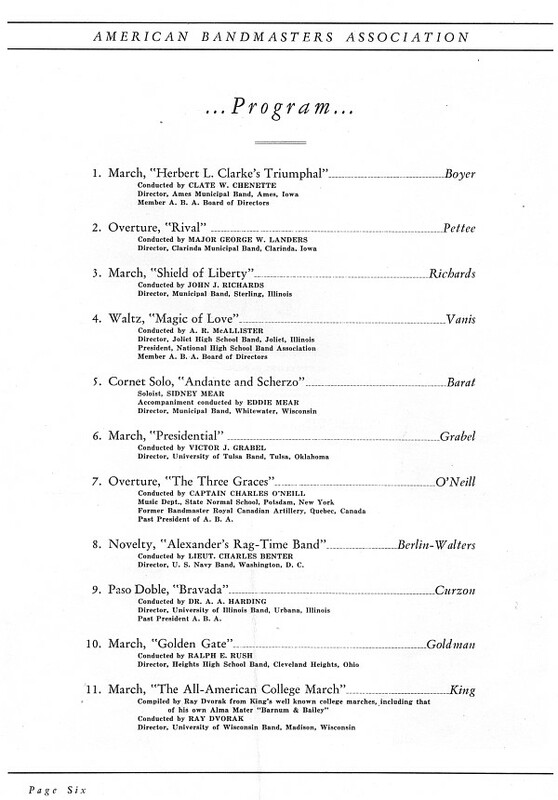 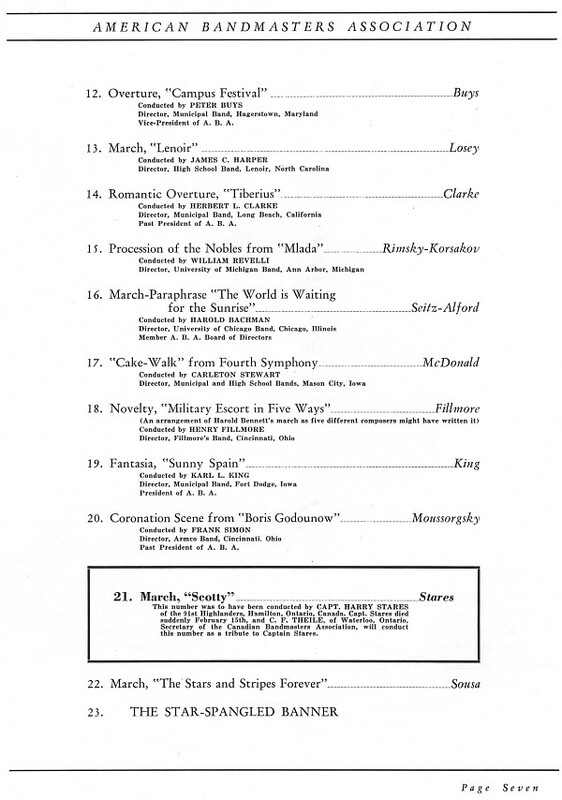 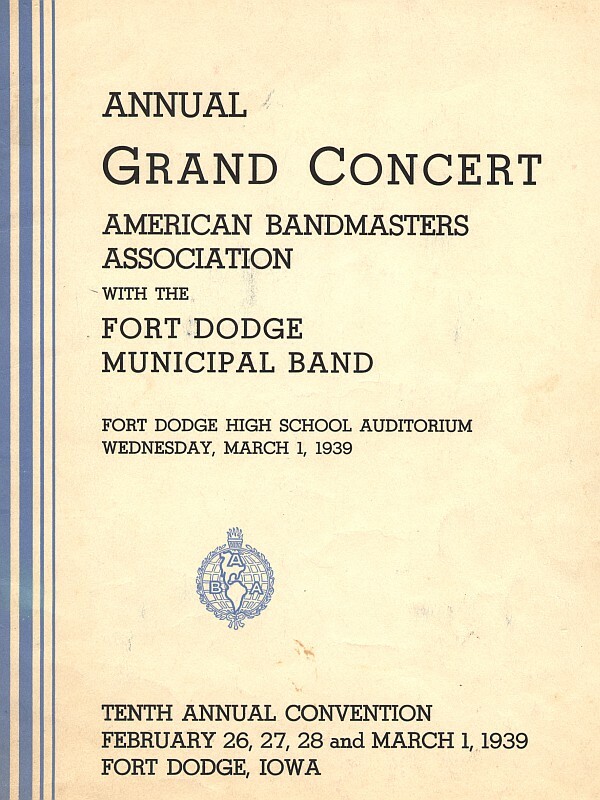 The band for the Grand Concert performance was a mixture of noted ABA members and Karl King Band regulars. 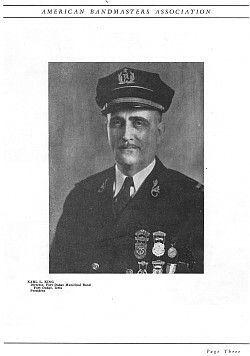 The above photo is from the dedication of the Karl King Bandshell in Oleson Park. 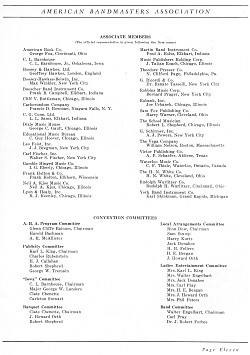 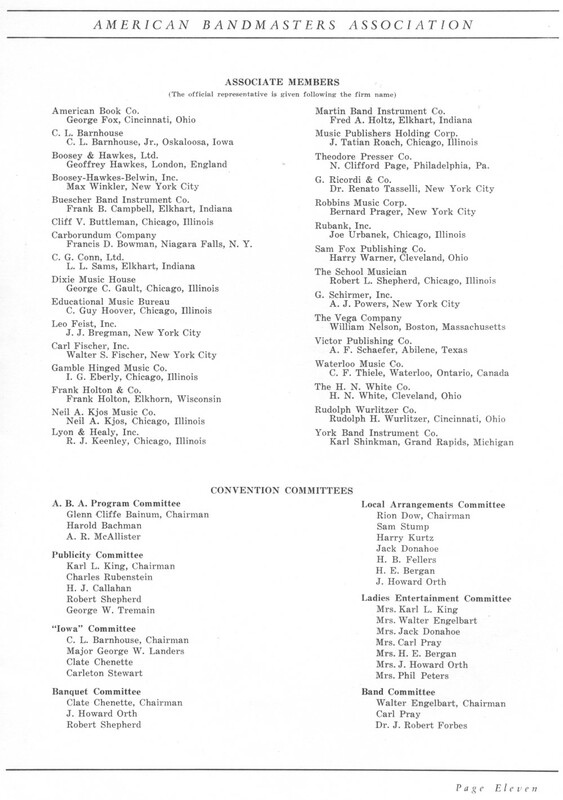 Note that Fort Dodge was the smallest city to ever host the ABA Convention. 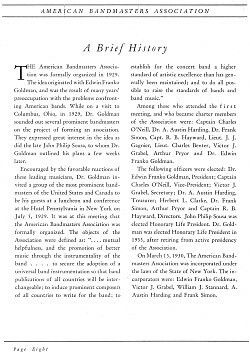 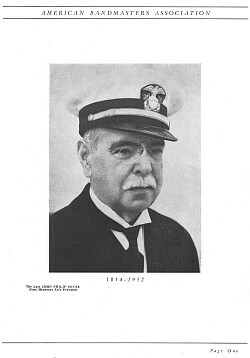 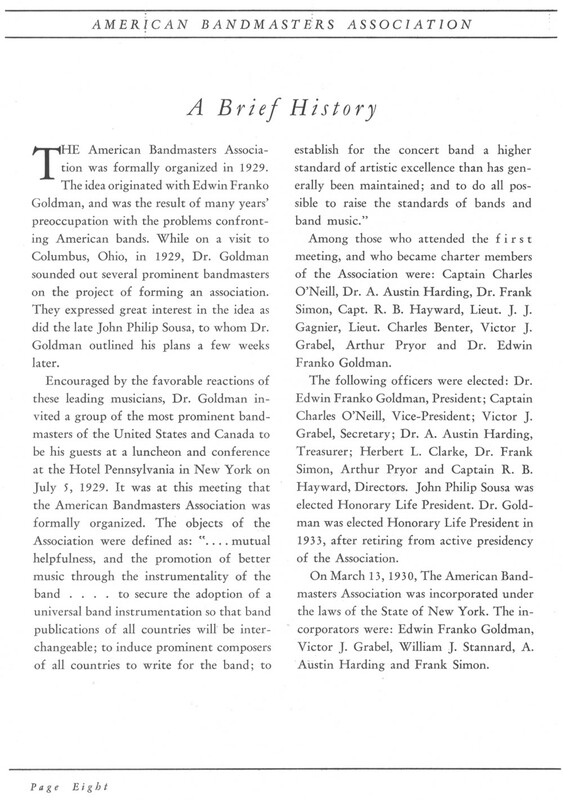 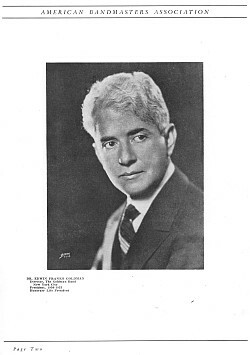 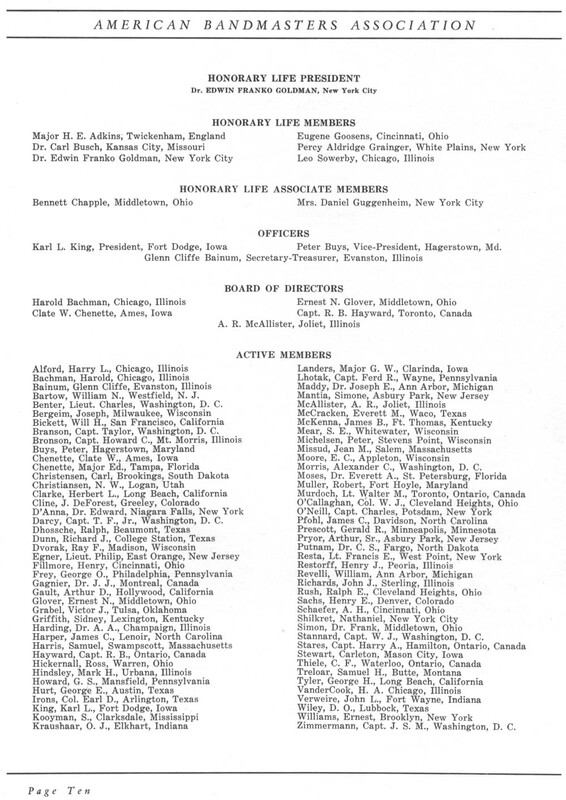 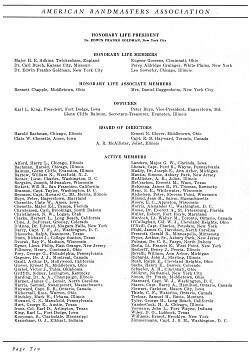 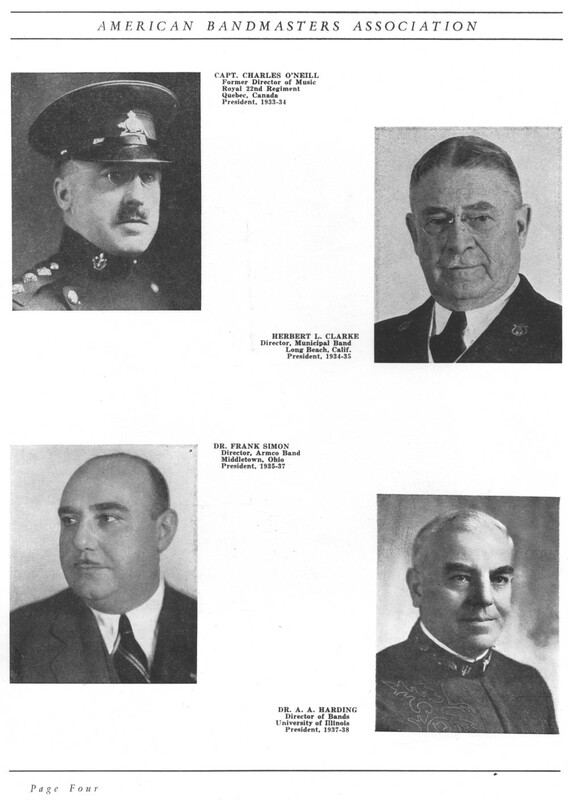 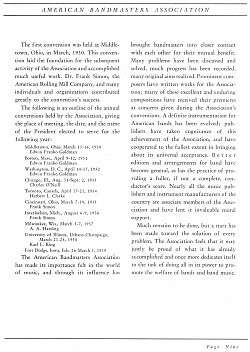 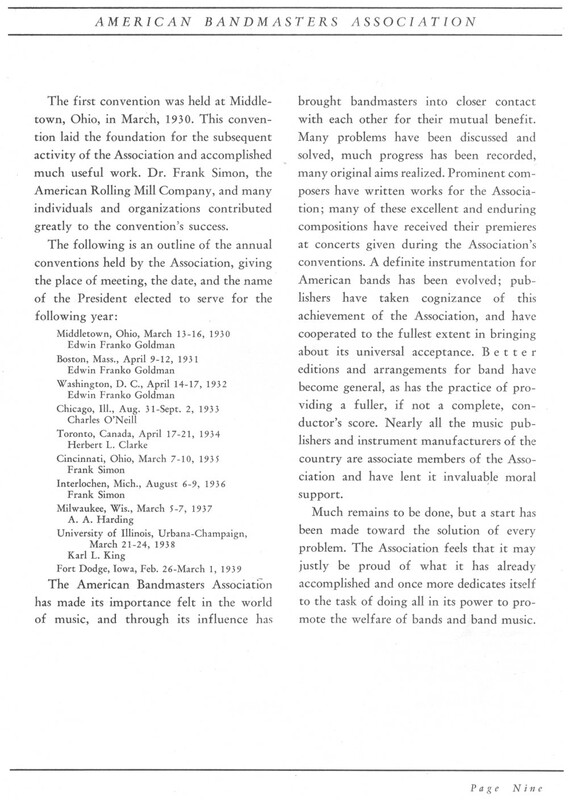 This was only possible, of course, because Karl King had been the president of the American Bandmasters Association.